Each year I make the pilgrimage home for Christmas. 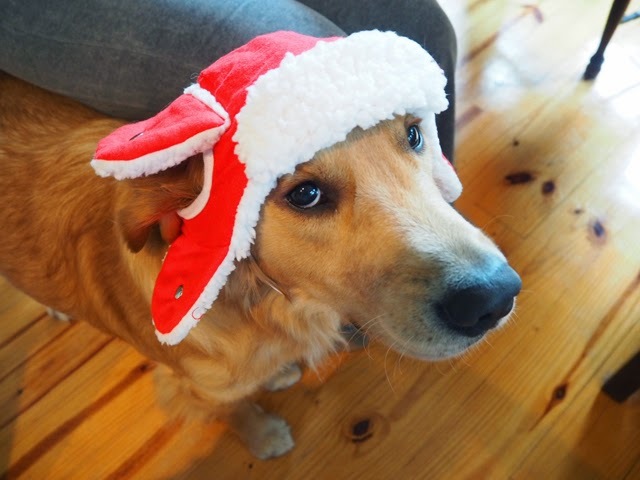 This is my 12th year returning to the USA from London, and my fourth Christmas in the South Carolina Lowcountry. Nearly five years ago, my parents made a home on an island off the coast of South Carolina. 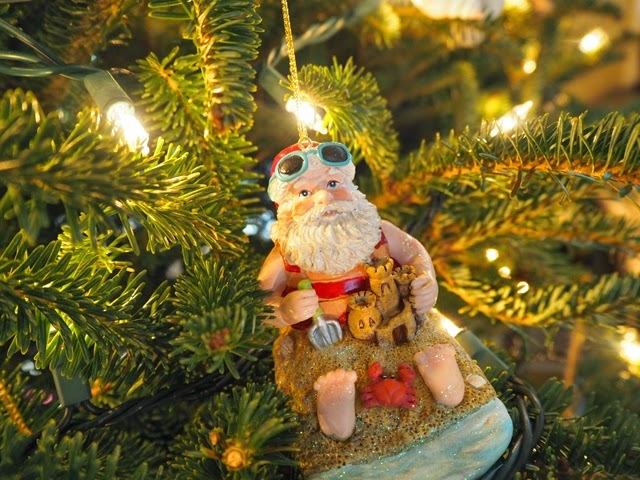 While it has been a rather strange adjustment to spend Christmas in a place where you can wear jeans and a t-shirt on the big day, new more location specific traditions are being made and catalogued in our minds for future generations. 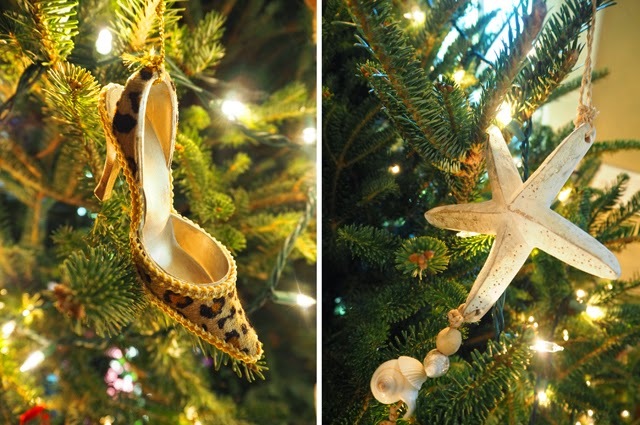 The Christmas tree is now decorated in a Lowcountry style with sand dollars, flip flop wearing santas and shells from the beach (oh, and the occasional designer shoe... to give FFG representation). 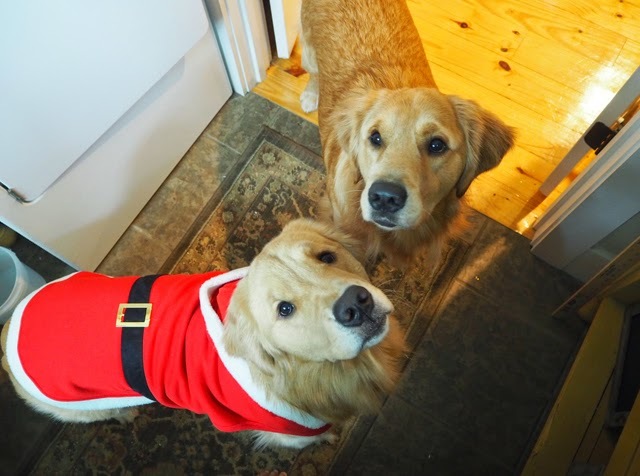 The dogs, while still partaking in Christmas decoration, can only wear their costumes for mere moments or they'll overheat like hot tamales. 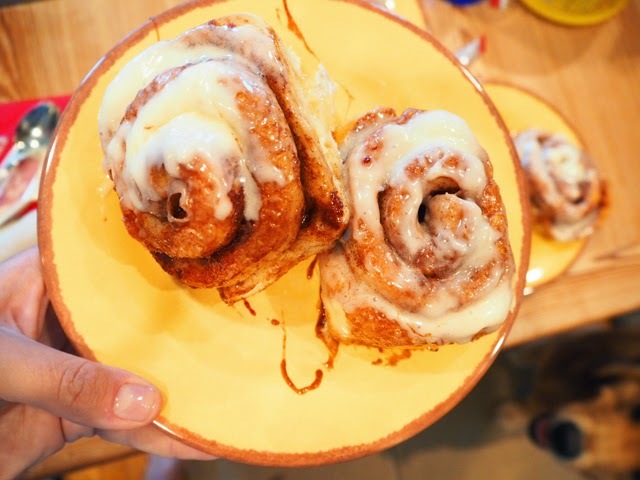 That all being said, our Christmas cooking traditions remain the same - hot chocolate (this year with a bit of sprinkle magic) and cinnamon rolls still find a place on the Christmas morning menu. 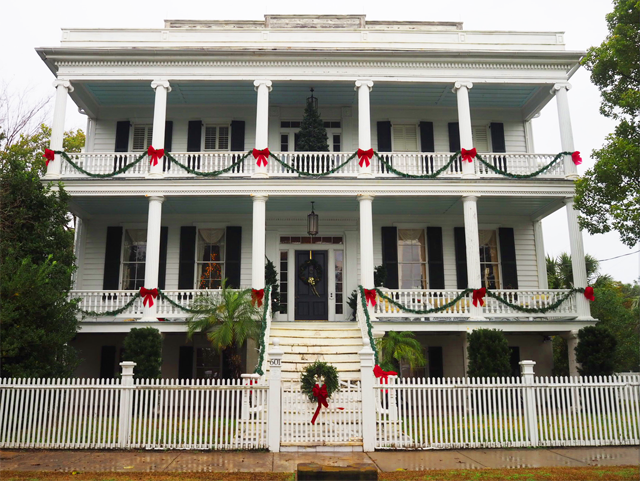 Away from our front door, the homes in Beaufort, South Carolina are truly a sight to behold during the Christmas season. 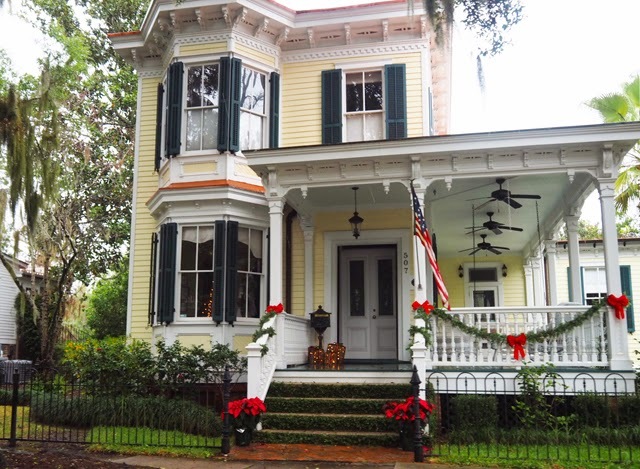 The old houses in Historic Downtown Beaufort are decorated so elegantly that it's easily understandable why cars queue at night to take in their magical displays. 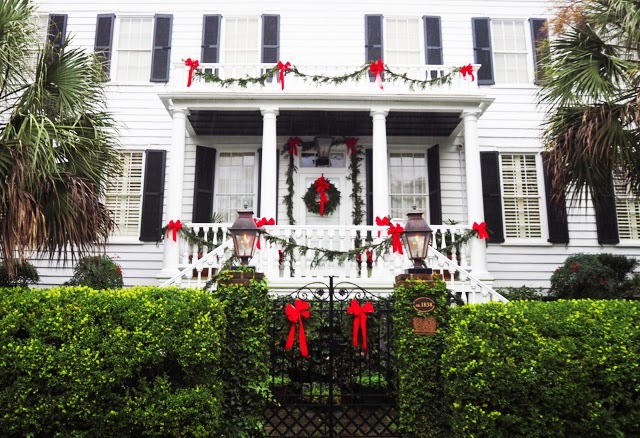 Wreaths, lights, big red bows and various lights strung from multiple porches all contribute to bringing out the beauty in Beaufort. And I must give a special mention to a rather moving scene in Beaufort for Christmas. 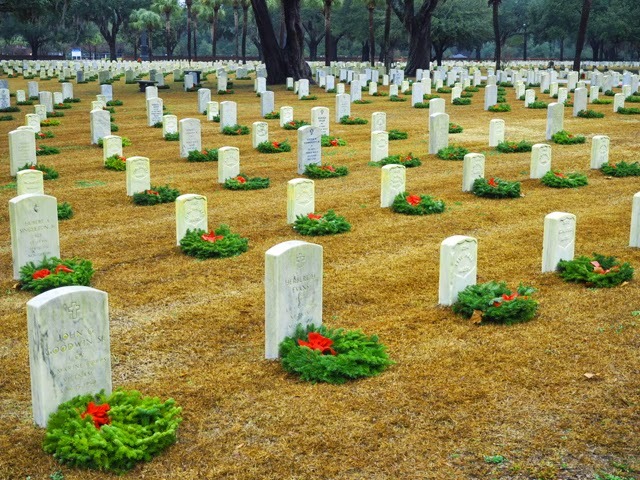 Each year the graves of thousands of Veterans in the Beaufort National Cemetery are decorated with wreaths to celebrate the season. The wreaths are placed in remembrance of those that have sacrificed for our freedom. Though they may be gone, they are certainly never forgotten, especially as our families share in this special day. 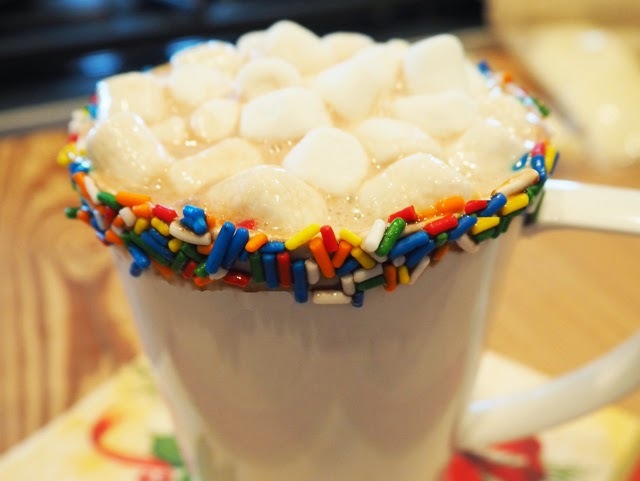 Naturally, I couldn't make it through the Christmas holidays without snapping a few pics to share of all of these memorable moments. In fact, it's made all the more special by knowing I can share such a fantastic sight. 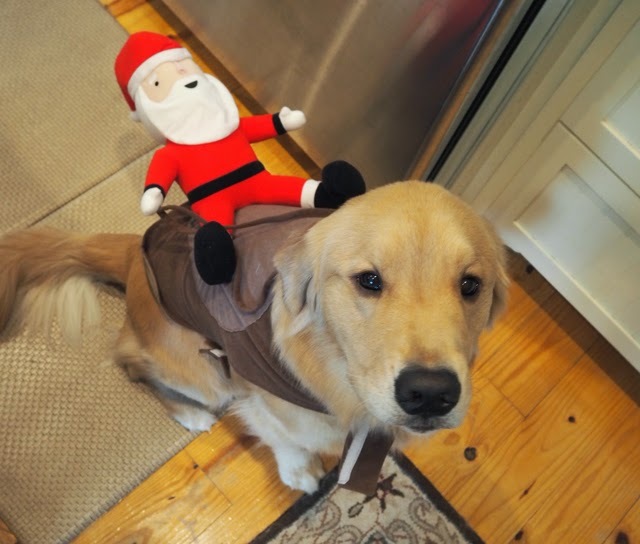 I do hope you and your families had a beautiful Christmas, wherever on earth this post may find you.